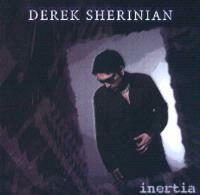 With this CD Sherinian continues his tradition of creating hard edged prog that is quite firmly rooted in fusion. The disc succeeds very well in creating an energetic and considerably potent instrumental mode that sends the listener on a major journey. His copilots on this trip are Steve Lukather, Simn Phillips, Jerry Goodman, Tom Kennedy, Zakk Wylde, Tony Franklin and Jimmy Johnson. Weird, frantic tones start this cut. As that intro ends, a great fusion oriented jamming ensues. This cover of the Edgar Winter classic really rocks. Starting in a mellow sort of jazz ballad mode, this one begins building slowly. It is a powerfully positively textured piece. One would expect a song called "Evel Knievel" to be frantic, and it is. Hard edged and fast paced, this one really rocks. Great airy keyboard dominated jazz stylings make up the intro to this cut. As the guitar enters, the piece screams for a time in a fusion-oriented mode. It then shifts gears, turning more melodic and rather Dimeolaish. Another change ensues bock to the ripping hard section and these two segments continue to trade and merge as the fight for control of the piece. A mellower, bluesy jazz styling starts this number. This mode, getting a little more crunchy and energetic at times, makes up the entire cut. Another frantically paced fusion piece, this one really smokes, but in smooth stylings. With a great dark, mysterious tone, this is a solid rocking piece that has some serious fusion oriented tones. This one has a dark, dissonant sort of texture in hard-edged fusion modes. As the name implies, it is an introduction for the next cut. With a heavy edged fusion sound, this track really rocks out.